Did you know that for a fleet management company, the drivers play a key role in defining the TCO. Most of the accidents on the roads are attributed to unruly driver behavior while a good driver can expand the life of your vehicles and reduce the cost of your vehicle operation by a considerable amount. Driver behavior monitoring is a vital tool which allows a fleet manager to understand the driving style of the driver that might not be safe or efficient and therefore in need of correction. Mileage drop, over speeding, idling, over driving and much more are some very pressing factors that most of the vehicle owners are quite concerned about apart from constantly stressing about the safety of vehicles in the hands of drivers. What is Harsh braking and Harsh acceleration? Harsh acceleration of braking is an event when the driver has applied more than normal force to the vehicle’s brake or accelerator. Also called the lead foot syndrome, harsh braking or acceleration can indicate rash driving, lack of proficiency or even possible accident. It must be noted that higher frequency of such events is not only an indicator of rash driving, but also does it affect the overall health of the vehicle in the long term. Environmental hazard: Harsh braking and acceleration is known to make vehicles emit more gases into the environment, adding to the air pollution. Sharp Turns affects car’s transmission system and it also hurts engine. Excessive idling also results in fuel wastage,Idling 8 hours a day can waste a lot of amount, and increase maintenance costs. Excessive speeding or over-speeding is also a problem statement for fleet managers, over speeding often leads to some unnecessary damage of your vehicle and accidents, which becomes a liability. Over-speeding is also one of the biggest causes of fuel wastage. It decreases gas mileage when a driver exceeds speed than the vehicle’s optimal fuel efficiency. 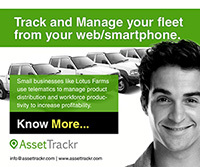 To run a successful business fleet is not about hiring drivers to drive your vehicle, it also depends on how you can monitor your driver activities. You never know whether they’re engaging in risky driving behavior and often misuse the vehicle. Many drivers run out-of-route, for example, such as for trips to the grocery store, meeting a personal friend, or picking up his kids from school,etc. These extra trips also increases your business operational cost. 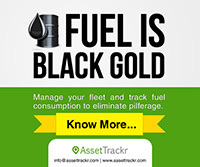 It is always better to minimize this extra fuel consumption, and monitor your driver behavior.